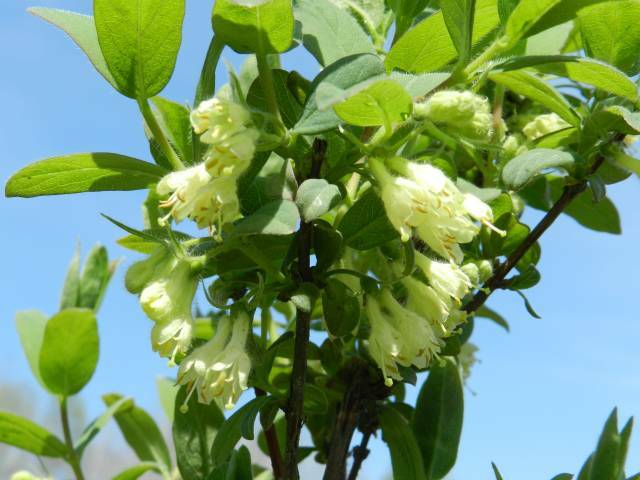 Note that all plants on this page are of the species Lonicera caerulea L. whether they go by the name haskap, honeyberry, or Yezberry®. 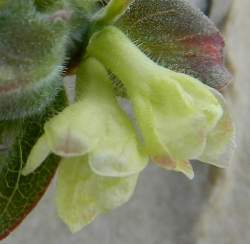 In general, "honeyberry" refers to subspecies such as edulis of Russian origin, "haskap" to subspecies with some emphyllocalyx / Japanese origin, and Yezberry® of pure emphyllocalyx / Japanese origin. It matters not so much what they are called, but matching the bloom times is critical, as most varieties need a companion for pollination. Please note that in warmer zones, early bloomers may break dormancy during a winter warm-up, and suffer from subsequent hard freezes, whereas late bloomers will bide their time until spring truly arrives. That is why late bloomers are recommended for zones 6-9. 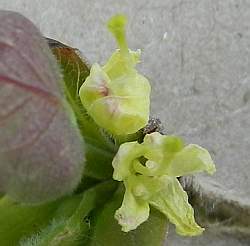 Note that there may be considerable overlap betweend ajacent bloom times in zones 1-3, and less overlap in warmer zones. 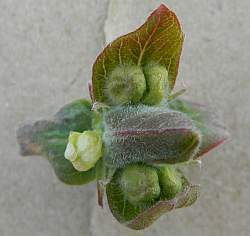 Lonicera caerulea L. typically blossom over a 2-3 week period, with blossoms opening throughout this time, dependent on weather. That is why not all berries ripen at the same time. Cool weather prolongs the bloom season, while warm weather shortens it. In zones 3 and colder, where spring bursts upon us fairly quickly, there can be a fair bit of overlap between adjacent categories with a difference of just a couple of days. Here in northern Minnesota, the late bloomers usually begin blossoming during the last week of the early bloomers. However, heavy winds and rain may take down early blossoms while not affecting the unopened buds of later blossoming cultivars. Age of plant affects bloom time. Older bushes will blossom sooner and produce larger berries than young plants. Some varieties like Borealis and Honey Bee may send out a few early blossoms but delay full bloom, indicated by another category. In 2016 at the U of Saskatchewan, Boreal Beast started blooming 4-5 days earlier than Boreal Beauty, but finished at the same time*. While we attempt to categorize each selection according to its bloom time, we can't guarantee they will perform the same in all locations. We are still gathering feedback regarding bloom times in different zones and grower feedback is much appreciated. Note that variation exists in the Early category but sufficient overlap occurs to be very compatible both in blossom and ripening for zones 1-4. Borealis and Honey Bee blossom just a few days later but taste better a few days to a week or more later. Initial reports indicate that Borealis did NOT overlap with Early Bloomers in zone 6, 2016.